A sideboard, also commonly referred to as a buffet, is a piece of furniture typically designed for holding plates, side dishes, decanters and other accessories for a meal. It usually contains cupboards and drawers. What is a sideboard or buffet? Sideboards came into use in the 18th century but became popular in the 19th century when single rooms were allocated to dining alone. The words ‘sideboard’ and ‘buffet’ are sometimes used interchangeably because they are both used to store household items such as table linens, dining accessories, and china. The main difference between the two though, is where they are used in the home. When it’s placed in the living room, it’s called a sideboard and when it is used in a dining room, it’s called a buffet. Which type of sideboard is the best to decorate your home? When choosing a sideboard, note that there are two types: the mirrored sideboard and the wooden sideboard. 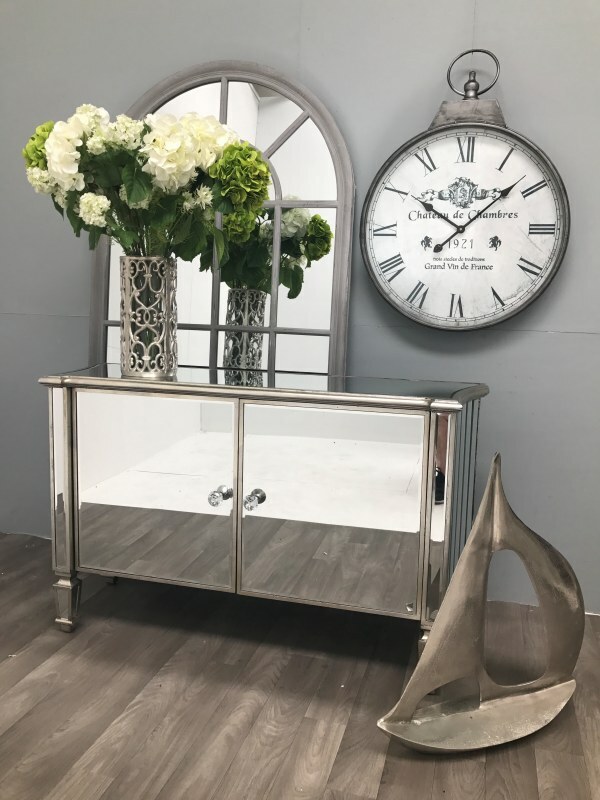 The mirrored sideboard is an essential piece for any home as it adds elegance and class. It creates a very modern and refined appeal to the look of the home which instantly boosts its overall appearance. The mirrored glass sideboard adds vintage glam to your dining room. Essentially, it serves as a beautiful display area. It is also an important piece that can accentuate your design set’s features and highlight the glamorous style of the whole space. The inclusion of a mirrored sideboard in your home is something you should definitely consider. In traditional dining rooms, the wooden sideboard is a beautiful must-have accessory that easily boosts the look and feel of the home. A traditionally painted wooden sideboard will enliven the room and give it a homey feel. They are durable and can be used to decorate the house, as a storage space or for placing crockery. Sideboards serve a wide range of functional purposes while adding to the aesthetic beauty and feel of the house. Interestingly, they are not just limited to the dining or living room. Some modern homes now add sideboards to the kitchen, hallway and even bedroom. This means that you can creatively place it anywhere you want in your house and it would fit in well. Make sure to select a sideboard that fits perfectly with the entire décor of your home. This way you can fully appreciate the beauty of your interior design in a way that is pleasing to the eyes of anyone who sees it may it be your friends or family.